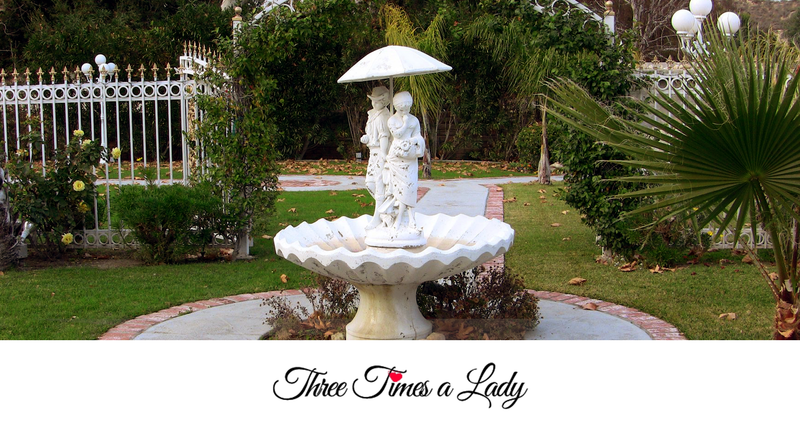 Welcome to Three Times a Lady Productions! Some say life begins at 40, For others, it takes a little longer. 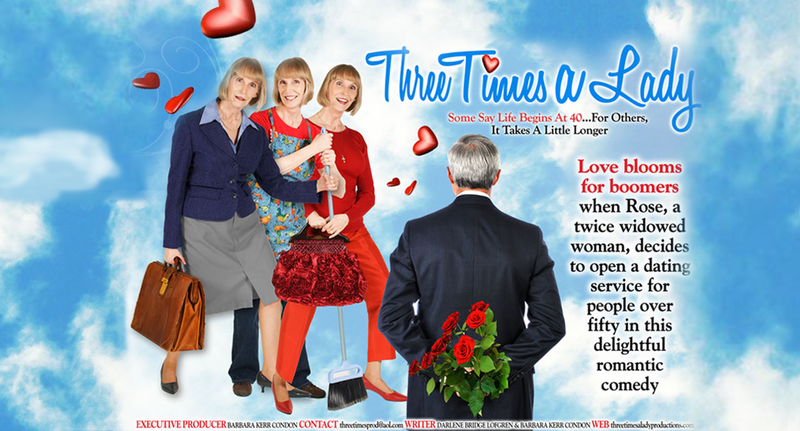 Love blooms for boomers when Rose, a twice widowed woman, decides to open a dating service for people over fifty, in this delightful romantic comedy. 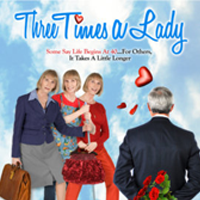 Come meet the cast and crew of Three Times a Lady! Read biographies and what they do in the entertainment industry. Meet the people who make it all happen, all the magic would not be possible without these individuals behind the scenes. Barbara first began demonstrating her eye for selecting choice literary projects at age 12 where she was a beloved recurring panelist on highly rated CBS’s Kid Critics. As an adult she found her way on to the board of Women In Film and collaborated on several PSA campaigns for battered women’s awareness. As an Army wife living in Germany, Barbara worked as the Director of The Performing Arts Theatre for the U.S. Army’s facility in Worms. During that time she produced numerous plays and stage shows. She also produced touring shows to provide entertainment for the soldiers and their families who were in isolated areas. Worms was the location for all USO stopovers and military entertainment in the area. 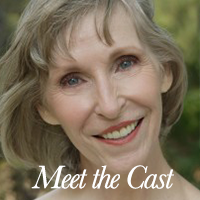 Barbara was the producer who liaisoned with those incoming shows. Bearing in mind the U.S. Military is the largest theatre system in the world, tripling London or Broadway, Barbara became quite confident in her skills as a producer. Turning her attention from stage to screen, Barbara found herself both acting and producing in Los Angeles. Since arriving in Hollywood, Barbara has produced six short films. Her film project, Doria, which she executive produced and in which she starred, was a winner of the Flickering Image Festival in 2004 and was written up in Variety. Doria has also played at several other festivals, some by invitation. Her most recent film project was Just Desserts, which she executive produced and in which she starred. Just Desserts now has worldwide theatrical distribution, and a TV contract is currently being negotiated. Family is another of her film projects which she co produced and in which she starred. Television roles on AMC/s Mad Men, HBO’s Big Love, NBC’s ER, CBS’s 7th Heaven, NBC’s The Others, Lifetime’s Unsolved Mysteries, and repeat appearances on The Tonight Show, have quickly given Barbara notice. Her film roles range from appearances in Universal’s Red Dragon and The Coen brothers’ Intolerable Cruelty, to supporting roles in films like Cineville's The Affair and Brooklyn Reptile's Boppin at the Glue Factory. Another project of Barbara's is Family, which she co-produced and in which she starred. Barbara was again in front of the camera with her role as Mrs. Cee in My Homework Ate My Dog. 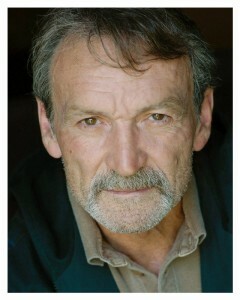 Equally comfortable on the theater stage as he is in front of the camera, Muse Watson first gained notice with several strong performances on stage that helped pave the way for a feature film and television career. His diverse roles in Sommersby, Something to Talk About, Assassins, & Rosewood brought him mainstream recognition but it was the villainous “Ben Willis” in the trendy thriller “I Know What You Did Last Summer” films and “From Dusk Till Dawn 2″ that propelled him in the limelight as a chameleonic actor. He made equally impressionable appearances in Austin Powers: The Spy Who Shagged Me and Sundance Film-Festival award-winner Songcatcher, challenging himself by playing unique characters. 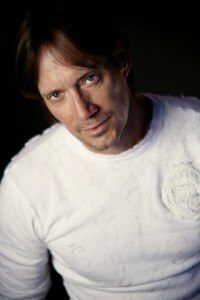 Transitioning to the small screen, Watson delivered stellar performances in several made-for-television movies including Blind Vengeance and Justice in a Small Town; and the television series, American Gothic, The Young Indiana Jones Chronicles, Matlock, The Lazarus Man, JAG, Walker Texas Ranger, Ghost Whisperer, CSI, and The Mentalist. Going on to land his most notorious TV roles as “Mike Franks” in the award winning drama NCIS and “Charles Westmoreland” in the Emmy & Golden Glo bes nominated & People’s Choice Awards – winner Prison Break. In 1994, he shot to fame for playing the role of Hercules in the television film Hercules and the Amazon Women. This was the first in a series of television films that served as pilots for the TV series Hercules: The Legendary Journeys which ran from 1995 to 1999. He also guest-starred as Hercules in episodes of the spin-off series Xena:Warrior Princess and provided the voice of Hercules in the animated film Hercules and Xena – The Animated Movie: The Battle for Mount Olympus which released in 1998. Other voice over work followed, with Sorbo providing the voices of Reiko and Quan Chi in Mortal Kombat 4. In between the years playing Hercules, he played his first leading film role in Kull the Conqueror (1997). 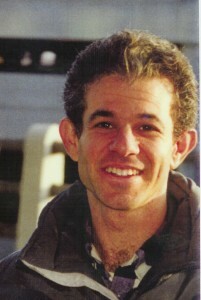 After Hercules came to an end, he played the starring role of Captain Dylan Hunt in the science-fiction drama series Andromeda from 2000 to 2005. In 2006, he played a recurring role on the final season of The O.C and guest-starred in the sitcom Two and a Half Men. In 2007, he appeared in the direct-to-video film Walking Tall: The Payback which is a sequel to the 2004 film Walking Tall. He reprised his role in the second sequel Walking Tall: Lone Justice which released later that year. He also starred in the Lifetime Channel film Last Chance Café, the Hallmark Channel film Avenging Angel, co-starring his real life wife Sam Sorbo and guest starred as a bounty hunter in the season two episode “Bounty Hunters!” of the series Psych. He has appeared in the spoof film Meet the Spartans which was a box office success. Despite being universally negatively reviewed by critics. He starred in the Albert Pyun directed SciFi Vampire flick Tales of the Ancient Empire. 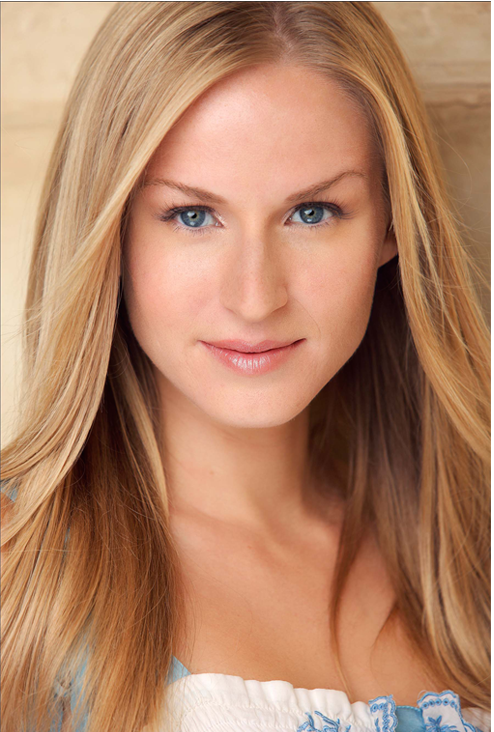 Jenn Gotzon is an Award-Winning Actress, Motivational Speaker, Spokesmodel and a new Author. Her acting career first received international attention with her portrayal of Tricia Nixon, the President’s daughter, in Ron Howard’s Oscar-Nominated “Frost/Nixon”. Described by Valley Social Magazine as someone “who is compared to a young Meryl Streep for her chameleon-like transformations”, Gotzon deliberately uses the movies she stars in as a platform to inspire her audiences and make a positive, wider cultural impact. Actress Nancy Stafford is familiar to millions as Andy Griffith’s law partner, Michelle, on TV’s “Matlock”. She has starred in numerous TV movies and series, including three years on the NBC Emmy-winning “St Elsewhere”, ABC’s “Sidekicks, and the NBC daytime drama “The Doctors”. She’s guest-starred on numerous shows, including “The Mentalist”, “Judging Amy”, “ER” and “Frasier”, and TV movie starring roles include “Moment of Truth: A Child Too Many” and “Deadly Invasion”. She co-stars with Randy Travis in the feature film “The Wager”, and her latest film, “Christmas with a Capital C”, will be released this Christmas. Nancy is the author of two books published by Random House/Multnomah: Beauty by the Book: Seeing Yourself as God Sees You, and The Wonder of His Love: A Journey into the Heart of God. 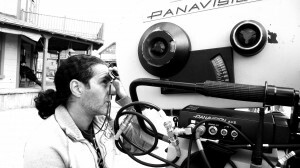 Marty Elcan is a Director in the Directors Guild with over 20 years production experience in film. 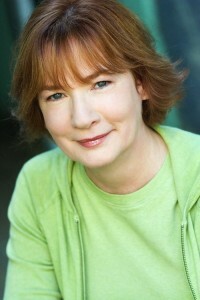 Her first short film, “There Goes the Groom,” was a hit on the Film Festival circuit and won several major awards including First place in the U.S. Film and Video Festival, the CINE Festival’s prestigious Golden Eagle Award, Best Short in Festival in the Hope and Dreams Film Festival as well as numerous others including special mentions from Worldfest and the New York International Film and Video Competition. It is currently airing on JLTV. Her second short film, “The Hit,” was an official selection in sixteen film festivals and has won a Chris Award, 1st place and a Special Jury Award at the CINE Golden Eagle Festival, Best Short in Festival in the Thunderbird Festival in Utah, and a World Medal at the New York Festivals. She directed a well-received 30-second commercial spot for MoveOn.org and a music video called “Survivor” to benefit Day of the Child, an organization helping child abuse victims, which aired on the SkyAngel Satellite network. 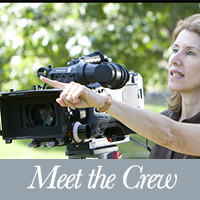 In 2007, she was one of seven DGA women participating in a special Kodak grant filmmaking program where she directed “Hit and Run,” and she also directed the 35mm short “Crossing the Line” starring Anne Ramsay and James Eckhouse. Marty recently directed her feature film directorial debut “Next of Kin,” featuring Ed Begley, Jr., Bess Armstrong, Jeremy London, George Newbern, Kate Orsini and Andrew Lockridge. 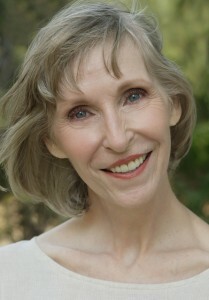 Prior to her Directing career, Marty was a distinguished DGA Assistant Director, shepherding such high profile films and television shows as “Driving Miss Daisy,” “Steel Magnolias,” “Mystic Pizza,” “Hill Street Blues,” “Picket Fences,” “The Grass Harp,” “Amazing Stories,” “Romy and Michele’s High School Reunion,” “Once and Again,” “Inherit the Wind,” “My Favorite Martian” and “Six Feet Under.” In this capacity, she learned from and worked side by side with the best: Steven Spielberg, Martin Scorsese, Donald Petrie,Bruce Beresford, Herbert Ross, Dan Petrie, Danny DeVito, and Clint Eastwood. 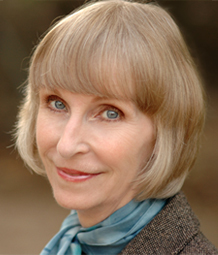 Barbara first began demonstrating her eye for selecting choice literary projects at age 12 where she was a beloved recurring panelist on highly rated CBS’s Kid Critics. David Raiklen began studying keyboard and composing at age 5. He wrote, directed and scored his first film at age 9. He attended, then taught at UCLA, USC and CalArts. Among his mentors are John Williams and Mel Powel. He has worked for Fox, Sony, Disney, PBS, Warner Bros., Mattel and Sprint. David’s awards and grants include an American Music Center Grant, two Telly Awards and the 2009 Park City Festival Audience Choice Award. Dr. Raiklen has composed music and sound design for theater, dance, television, cell phone, museums, concerts, documentaries and features, including 30,000 Leagues Under the Sea, BatGirl, Disney’s Sing Me A Story, the trailer for X-Files, and scoring Worth-winner of 18 festival awards. David Raiklen compositions have been performed at the Hollywood Bowl and the first Disney Hall. David is host of a successful radio program, Classical Fan Club, where guest include Joshua Bell and John Williams. Zohra Shahalimi won a Leo Award for costume-design in 2013 (Candadian equiv. to U.S Emmy Award) graduated with honors at internationally acclaimed fashion school, LaSalle College, Montréal where she received her diploma in Fashion Design and Marketing. Immediately recruited to join the innovative team of a major Montréal based manufacturing/import company (clients included La Senza which is now a division of Victoria Secret, La vie En Rose, Le Chateau, Jacobs etc..). Prior to Designing Costumes for film which she is very passionate about, she was leading a very successful business in the fashion industry which won her a nomination for “inspiration 2002 entrepreneur of the year awards” Zohra’s passion for style and eye for detail propelled her to success in the fashion industry, as an entrepreneur and as a Costume Designer. She has traveled around the globe and left her mark as a fashion designer, a business owner, fashion buyer, image consultant and now is one of the up and coming Costume Designers for film and television. Directors and Producers are taking note. Poised to break into the ranks of the amazing visionaries of Hollywood, Zohra is right on track to design costumes for A-list projects. Her industry knowledge of apparel industry, style, trends and commercial viability of products has helped her succeed as a buyer for a major North American retail chain and as a merchandise developer for an international woman’s wear company. It is this breadth of expertise that she applies in Designing Costumes for film. After graduating with honors, one of her original Art Deco creations won a coveted spot in the McCord Museum of Montreal’s fashion show. 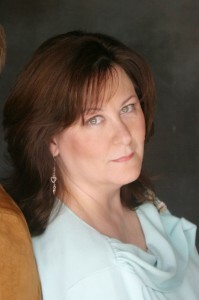 Barbara Fisher is a producer and an actor. She has worked in the corporate and business worlds for over 25 years. Choosing to move to Los Angeles to pursue acting, producing was the logical extension of her former corporate career. 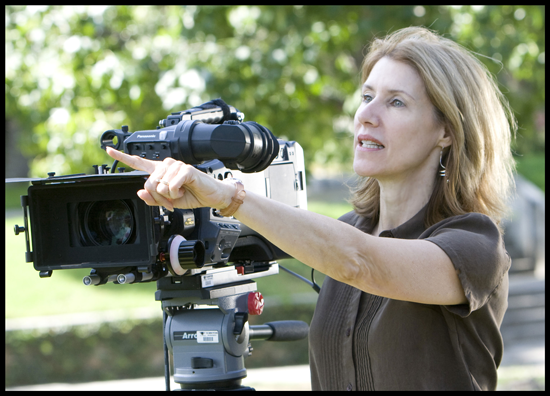 The skill sets that made Barbara extremely successful in the corporate and business worlds for over 25 years serve her well as a producer for feature films and web series. Barbara is a co-producer with Kai Soremekun on the award winning web series, CHICK, which launched in November 2009. The Washington Post noted that “…one webisode and you’re hooked.” The series was picked up for distribution by Koldcast.tv and RowdyOrbit.com. Barbara’s experience and expertise with handling both bookwork and technology issues, as well as having excellent personal management abilities, all translate well into the job of producer. Whatever environment Barbara finds herself in, she is able to organize it into great shape. She has a knack for seeing the end result and intuitively knowing what steps to take to get there. Maslar was born in Chicago and grew up in Oklahoma City. At age ten she began working as a model in local runway, print and commercials with dreams of becoming an actress. She went on to attend St. Gregory’s College in Shawnee, OK and the University of Pittsburg where she shifted her focus from acting to a career behind the scenes. 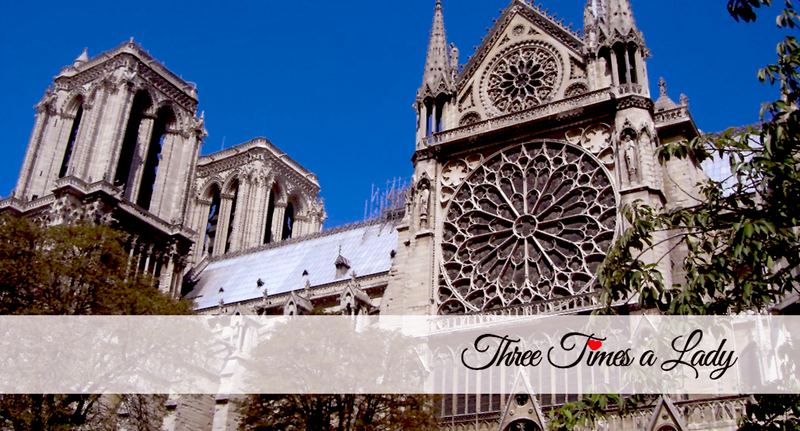 She married out of college and became involved in the local entertainment community. Maslar was active in bringing filming to Oklahoma. She made strong connections to Hollywood and it was casting directors Janet Hirshenson and Mary Jo Slater, who encouraged her to move to Los Angeles to continue her career in entertainment. Maslar represented actors under her own management company called RGM Entertainment. It was a natural role for Maslar who acted as manager, mentor, watchdog and creative partner. Her clients have included Reggie Lee, and Jason Connery. When Maslar is not casting or producing, she is mentoring up and coming talent through her workshops. Teaching has always been a passion for Maslar who has been doing so for over fifteen years in Canada and North America. Her workshop presentation offers actors valuable insight about the entertainment industry – yet another extension of her commitment to actors. Above all of her accomplishments, Maslar is most proud of her two children – Samantha Anne and Scott Aaron. Watching her children grow up into wonderful people who work in careers that help others has been her greatest reward. She is dedicated to helping others and believes everyone can make a difference. Ricki G. Maslar is a respected entertainment executive, dedicated mother, and she looks forward to making films that change lives and make a difference in the world – if only for a moment. © 2016 ThreeTimesaLadyProductions. All rights reserved.